Reducing readmissions is a priority for America’s hospitals. Here are some successful steps that hospitals are taking to achieve this goal. Think of discharge planning as process, not an “event.” There are too many things that have to happen and not all of them can be accomplished the moment a physician approves the patient’s release. The process must start at admission. 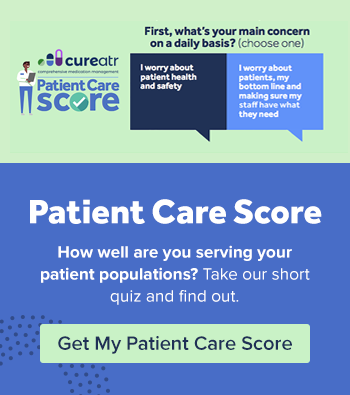 That gives providers, patients, families, and caregivers time during the patient’s stay to identify the post-acute care issues that will need to be addressed in order to reduce the risk of readmission. For example, by learning that the patient can’t afford his medication on day one provides time for a transition coordinator or social worker to put a financial assistance plan in place before he goes home. A recent meta analysis found that in 15 studies with a total of 4,361 patients, involving informal caregivers was associated with a 25% reduction in the likelihood of an elderly patient being readmitted to the hospital within 90 days of discharge and a 24% reduction in the possibility of readmission within 180 days of discharge. Given the complexity of medication management, wound care, care monitoring technology, special diets, and other post-acute care factors, families and caregivers are essential to ensuring patients follow their care instructions and have a support system after they leave the hospital. Involve them in the discharge process and you empower them to do a better job caring for their loved one. More than 35 states have passed the Caregiver Advise, Record, Enable (CARE) Act, advocated by AARP. The Act requires that caregivers be involved in the discharge process, have their name entered into the patient’s medical record, and be kept in the loop about when their loved one will be discharged. Several discharge planning toolkits have been used by hundreds of hospitals with success. One example is Project BOOST, launched by the Society of Hospital Medicine with input from the IHI, the Joint Commission and others. In a 2013 study, 11 hospitals that adopted Project BOOST, saw 30-day readmission rates fall to 12.7% from 14.7% in 12 months. Another is IDEAL Discharge Planning, developed by the Agency for Healthcare Research and Quality (AHRQ). The tool includes a discharge planning process with companion checklists for the care team to complete. These ensure all steps have been covered - such as telling patients and families how to use patient room whiteboards to communicate with providers, reviewing medications, using teach back strategies, and arranging follow up appointments. AHRQ also offers the Re-Engineered Discharge (RED) Toolkit, which includes the booklet, Taking Care of Myself: A Guide for When I Leave the Hospital. A pharmacist-driven improvement initiative at Philadelphia-based Einstein Medical Center resulted in the hospital's 30-day readmission rate going down by more than half for traditional Medicare patients. When pharmacists got involved with patients early in their stay to review medications, adjust dosages, answer questions and arrange for follow-up home visits, readmission rates for traditional Medicare patients were 9.8% compared to 20.4% for a group that did not receive the interventions. The hospital now has three pharmacists applying these principles as part of their daily work and a similar program is in place at Penn. A study in the Annals of Family Medicine showed that the 7 day interval is more effective in reducing readmission rates for high risk patients than for those with no or one chronic or acute condition. 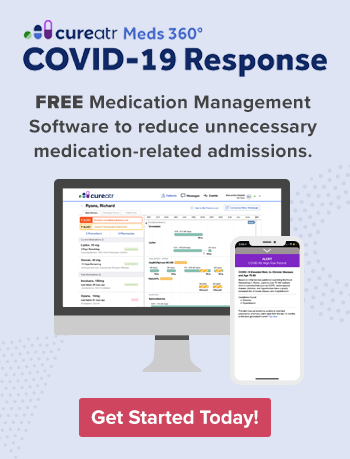 Develop your discharge process to ensure your team schedules the 7 day follow up appointment for patients who have multiple chronic conditions and who are prescribed multiple medications. Given their risk factors and condition after leaving the hospital, many of these patients will not remember to make this appointment on their own. The simple act of a nurse follow up call can reveal a lot about the patient’s condition, as well as provide way to answer questions, re-educate about medications and recovery instructions, and remind patients about their 7 day follow up appointment. Many hospitals also offer remote monitoring and telehealth options as a way to stay connected with patients. A Horizon Blue Cross Blue Shield pilot program in New Jersey is remotely monitoring congestive heart failure patients by equipping them with a small transmitter that sends readings to the payor. When the transmitter senses weight gain or other risks, a Horizon BCBS medical professional is alerted to check on the patient. Reducing readmissions takes a village. In addition to involving families and caregivers, work with physicians and other post-acute care providers to continuously evolve post-acute care management. Communicate readmission reduction wins. Invite physicians to provide input to discharge and post-acute care processes. In addition to the patient care benefits of a stronger relationship, the reduced cost of readmissions can result in health systems and accountable care organizations (ACOs) more effectively managing bundled and value-based payment arrangements.